• 1 bath , 3 bdrm 2 storey – FOR SALE USD194,900 . 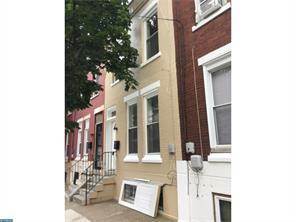 Step right into this newly renovated townhouse a short walk to Temple University! Features central air, new floors, recessed lights, sleek modern railing, new electric panel and exterior LED fixtures. Kitchen highlights: soft close, shaker cabinets, granite counters, and Whirlpool appliances (dishwasher, 5 burner stove, fridge, microwave & disposal)! For you and your guests, an added powder room with a petite vanity, and a patio for BBQs! Enjoy the privacy of your flower garden within a 6′ picket fence. Upstairs are 3 bedrooms and a 3 piece bath with river rock mosaic tile and vanity. The lower level is clean as a whistle, ready to finish as a game room and includes a laundry. New rubber roof with 10 year maintenance free warranty! Get ready to enjoy the amenities of in town living! • 1 bath , 3 bdrm single story – FOR SALE USD169,900 . 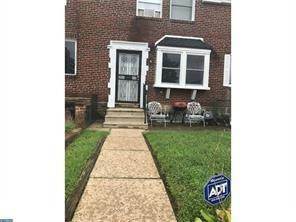 Very nice three bedroom row home in east Mt. Airy on most desirable block in the area. Well maintain lawns on wide one way street. This home features beautiful hardwood floors, kitchen with breakfast nook and newer kitchen floor. Basement is idea for additional living space and includes laundry room,outside exit to back of house and one car attached garage. All appliances included in sale. This home is close to public transportation, shopping malls, restaurants and physical fitness center. showings by appointment. • 1107 sqft , 3 bath , 5 bdrm 2 storey – FOR SALE USD425,000 . Spacious 5 bedroom home in desirable area known as Lavrock. This home features new front door and foyer entrance that leads to the newly remodel kitchen. The kitchen has granite counter top, all stainless steel aplliances, new cabinets and hardwood floors The kitchen opens into the formal dining room that opens into the spacious living room with stone fire place. Sliding glass doors Off of living room lead to enclosed solarium. The solarium has siding glass doors that leads to the spacious back yard. Off of the right side of foyer is the entrance to the master bedroom with master bath and totally remodeled full bah with double sinks and jacuzzi bathtub. There are two additional bedrooms on the first floor. Staircase leads to the second level of this spacious home with two additional bedroom and full bath.The finsih basement has a wet bar and additonal room with outside exit. Can be used as in law suite.